Just a quick glance at your surrounding and brief recall of major daily activities, would tell you about our dependence on technology. For most people, the first interaction in the day is with technology and the with real humans. Technologies are growing rapidly as we speak. Each is trying harder to be a better version of itself and the best among its competitors. It’s a no-brainer, to imagine the confusion or commotion it creates among users. At the same time, we forget to realize that we have been using technologies without understanding their intricacies in detail. These lead to further confusion among users. These confusions lead to myths and misconceptions gradually. Irrespective of your profession, a start-up owner or a housewife, understanding these myths will help you to be more productive. Nopes, they aren’t. The former is a subset of the later. Internet is the infrastructure that allows various networks to share data amongst themselves. Irrespective of the distance or the platform used to access it. Meanwhile, www. Is one of the many networks that uses internet and starts with www. This is a very frequently heard misconception. This was the case a couple of years ago. But advanced technologies have made batteries to be more powerful lately. Most of these batteries are powerful because of the lithium-ion they use. Batteries have a limited number of charge cycles, that they can undergo. Your cellphones die out faster with time because they have run out of those charge cycles after frequent use. One can charge their batteries as and when required. Your cell phone is a very smart device. It understands when its full and stops charging. Another similar misconception is; you can charge your phone in absolutely any charger. But to be honest, if you use knockoff chargers, chances of your cell phones battery damaging and catching afire are higher. Always make sure, you use genuine chargers for frequent use. This is a personal favorite because this is something I grew up believing. Our father heard the rumor at work and send off our microwave for repair, only to never bring it back home. However, the amount of microwave radiation (even in the extremes of condition) is very less to cause any real harm to humans. The amount of radiation leakage that happens in the appliance’s lifetime, is much below the level required to harm humans. The misconception of not using metals is a bit too overhyped too. It’s certainly not recommended, but containers without sharp edges do not possess as much threat as is assumed. Enabling incognito mode or private mode may or may not hide the sites you visited from your history records. It just means your history is not tacked and others users wouldn’t know what you were up to. Unknown websites can’t track your history and won’t be automatically logging you in into their accounts. However, it doesn’t hide you from the web or your ISP (Internet Service Provider). You are still visible to the sites you visited. Mobiles have become a major part of a Millennial’s life. Be it professional or the personal aspect, these device acts as a catalyst between us and the world we live in. Irrespective of the use, mobile marketing or plain social networking, it has become an indispensable part of our daily lives. 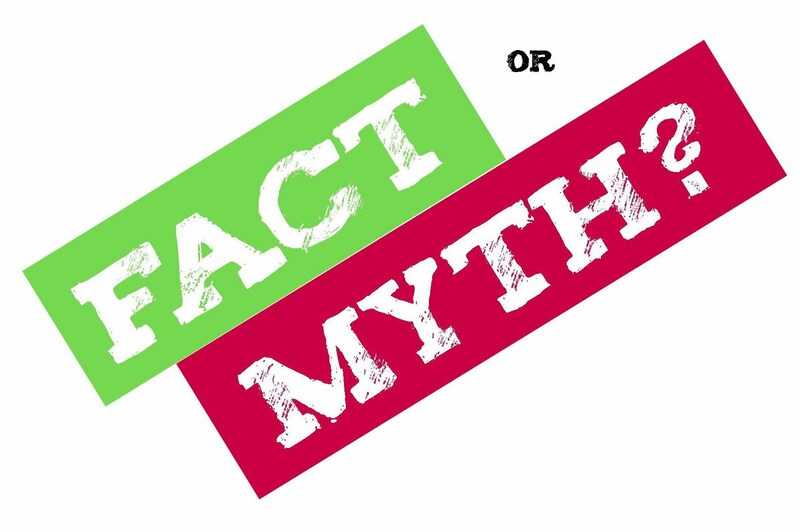 Misconceptions and myths related to cell phones can hinder our performance in general to a great extent. This seems like a very commonly used and inferred myth in our societies. The bars on your mobile do not say indicate the signal strength you have. It says how close your cellular network is from the nearest tower. There are multiple users that are connected to the same tower though. This is the myth marketers use to sell high-end mobiles that cost more. However what matters more is the material and size of the lens of the camera. However, if you are someone who wants a picture printed in a larger size, the extra pixels will be very helpful. If your cellphones megapixel count is not high enough, then the images you print out would not be as sharp as expected. To be absolutely truthful, there’s no computer in the world that can be absolutely proofed against a virus. Apple’s Mac certainly performs so much better than windows PC, moreover, there are lesser Mac users compared to PC users. This is what reduces the risk of virus, but doesn’t eliminate the risks. Another misconception similar to this is, iPhones should not be charged using iPad charger. IPads 12watt charger is powerful enough to charge both but this could ideally stress out your iPhone. However, it takes for over a year to that amount of damage to be noticed in your iPhones performance. Remember how easy it was to wipe off the analog floppy disks using just a magnet. This was the idea that led to the above-mentioned myth. However, imagine how big the magnet has to be, to be able to erase data off a computer system. Modern computers are likely to be at risk only to very strong magnets with sharply focused magnetic fields. There have been major concerns associated with frequent use of cell phone. The radiations emitted from cell phones are suspected to cause cancer and damage brain cells. But there is still no evidence that suggests the same. It is actually smarter to shut down your systems frequently. This will reduce the stress on components and also saves power. Yes, this will ensure misuse of your network is not frequent. However, if a hacker tries to get into your network, he can easily have access to your systems.